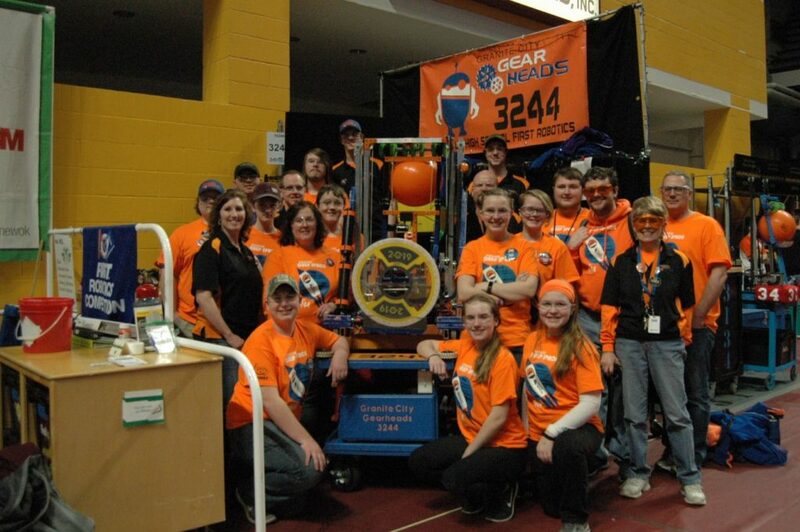 The Gearheads competed at our annual regional competition in Williams Arena on Mar. 28-30. The team competed with 62 other teams. 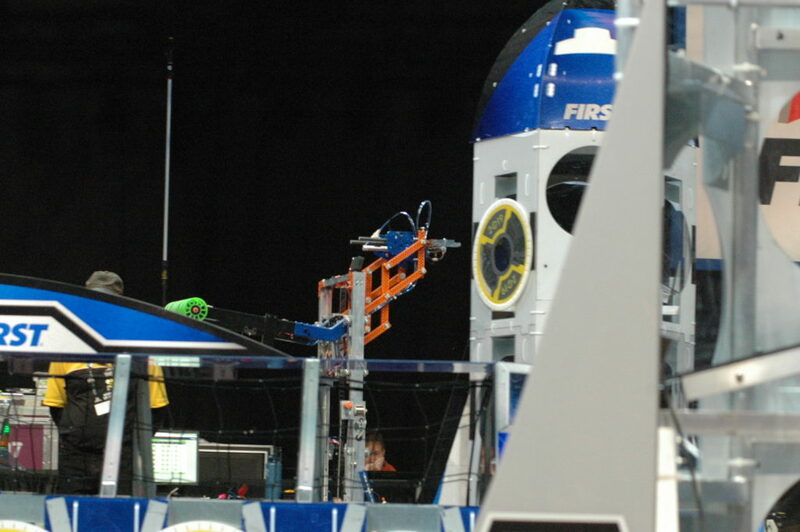 We are proud to share with our followers that we ranked as high as 6th and finished qualification matches ranked 12th. We were selected by the 8th ranked alliance to play on their alliance. Unfortunately, the 8th place alliance goes up against the 1st place alliance. This year that alliance was made up of the #1 ranked team and #2 ranked team (and another tough competitor). We battled hard but did not defeat them. We did earn the quality award for our robot. 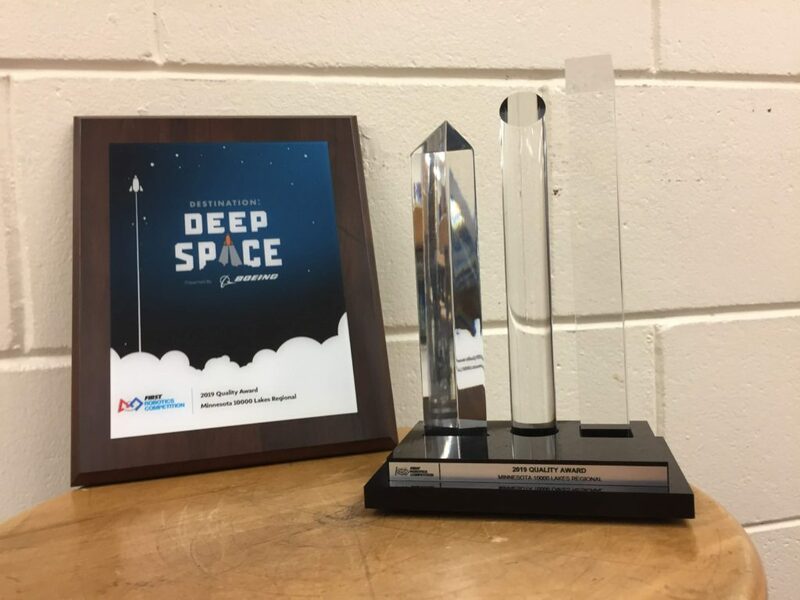 They mentioned our floor pickup for hatch panels and our quick change bumpers when they announced the award. Here is a picture of the team in the pits after we ended our competition (but before the quality award was announced, or the trophy given to us).